Alec Baldwin is joined by his pregnant wife Hilaria as they arrive at the Ripple of Hope Awards Dinner hosted by the Robert F. Kennedy Human Rights on Wednesday afternoon (December 13) at the New York Hilton Hotel in New York City. The 59-year-old actor looked handsome in a charcoal suit while his 33-year-old wife dressed her growing baby bump in a black lace dress for the event. Other stars at the event included Usher, Alfre Woodward, Keegan-Michael Key and fiancee Elisa Pugliese, along with Tony Bennett and his wife Susan Crow. FYI: Hilaria is wearing a Carmen Marc Valvo dress. 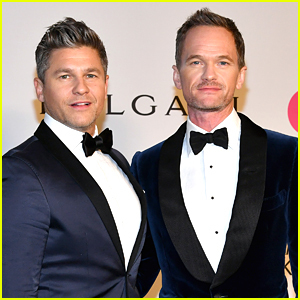 Neil Patrick Harris and husband David Burtka hit the red carpet for the Elton John AIDS Foudnation’s Annual Fall Gala on Tuesday night (November 7) at the Cathedral of St. John the Divine in New York City. 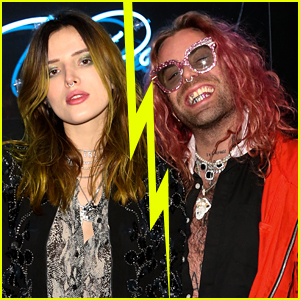 The couple were joined by their close friends and the event’s hosts Elton John and David Furnish. 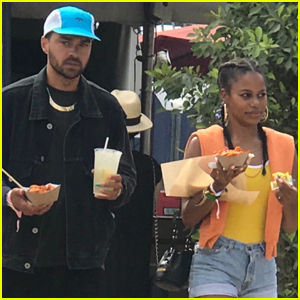 Other attendees included Sting and wife Trudie Styler, Judith Light, Padma Lakshmi, Diane Lane, Sheryl Crow, Cheyenne Jackson, Glenn Close, Alec Baldwin and pregnant wife Hilaria, Ethan Hawke, Alessandro Nivola, and Andrew Rannells. 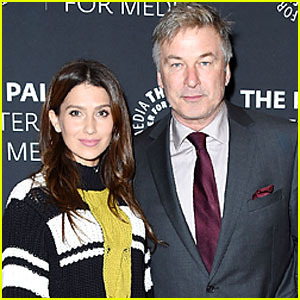 Alec Baldwin & Wife Hilaria Expecting Fourth Child Together! Alec Baldwin and his wife Hilaria are expecting their fourth child! The 59-year-old actor and the 33-year-old fitness expert and author made the announcement on social media on Friday (November 3). The two already have three children together: daughter Carmen, 4, and their sons Rafael, 2, and Leonardo, 1. “Our Baldwinitos are getting a new teammate this spring ❤️. I’m gonna make them a special cake to tell them if it’s a boy or a girl…I’ll post it tomorrow midday 😘. We are so excited!” Hilaria wrote on Instagram. Check out the cute announcement below! 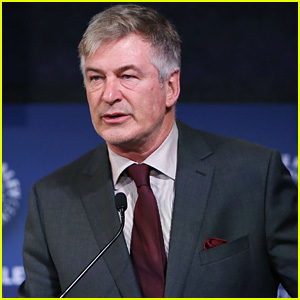 Alec Baldwin speaks on stage during the Paley Honors Luncheon on Thursday afternoon (November 2) in New York City. The 59-year-old actor, who was joined at the event by his wife Hilaria, opened up about the sexual misconduct allegations surfacing in Hollywood in recent weeks. He also talked about his own behavior. 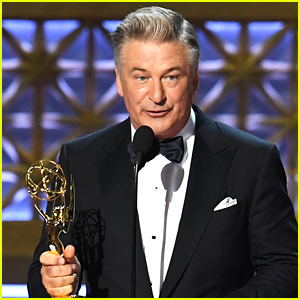 Alec Baldwin Offers His Emmy Award to Donald Trump! Alec Baldwin just won the Emmy Award for Outstanding Supporting Actor in a Comedy Series! The 59-year-old won the award for his portrayal of President Donald Trump on Saturday Night Live – and even offered his award to the president! “I suppose I should say, at long last, Mr. President, here is your Emmy,” Alec said as he received his award. Alec went on to thank his wife Hilaria for standing by him as he dressed up as Trump each weekend. FYI: Hilaria is wearing a Badgley Mischka gown and David Webb jewelry. Alec is wearing Ermenegildo Zegna Made to Measure. Alec Baldwin Taught Daughter Carmen, 4, His Donald Trump Impression - Watch Now! Alec Baldwin went on The Ellen Show today to discuss his new parody memoir “You Can’t Spell America Without Me” and brought along a very cute clip of him and his daughter Carmen, 4. The 59-year-old actor brought a video of him teaching his daughter how to do his famous impression of Donald Trump that he brought to Saturday Night Live last season. He also confirmed he’ll be doing the impression again on the show this season, though did not confirm how long he could return.